Toxins produced by blue-green algae that have increasingly polluted Florida waters have been found in dead dolphins that also showed signs of Alzheimer's-like brain disease, according to a new study led by University of Miami researchers. The study, published Wednesday in the peer-reviewed journal PLOS One, is the first to show detectable levels of the toxin, commonly called BMAA, in dolphin brains that also displayed degenerative damage similar to Alzheimer's, Lou Gehrig's disease and Parkinson's in humans. While more work needs to be done to determine whether the toxins cause the disease, the study concludes dolphins and their complex brains could provide a key sentinel for the potential threat from toxic algae blooms to humans. "Not to be too political, but it goes to show the health of marine animals and water quality," said David Davis, lead author and a University of Miami Miller School of Medicine neuropathologist. "Everything's directly related." The findings add to a growing body of research that focuses on the health threat from harmful algae blooms, which climate scientists warn could worsen as the planet warms. South Florida is particularly vulnerable with miles of coast, a lake that is a third of the size of Rhode Island, rivers and estuaries and an agricultural industry and swelling population that continue to feed blooms with pollution from fertilizer and sewage. This past year, nearly 150 dead dolphins turned up in Florida waters after a widespread red tide along the Gulf Coast coincided with freshwater blue-green algae washing down the Caloosahatchee River. The carnage prompted the state's new governor to order a task force assembled to tackle damaging blue-green algae blooms just after he took office. The task force is expected to be created after a chief science officer, another position DeSantis created, is selected, Department of Environmental Protection spokeswoman Dee Ann Miller said in an email. The science officer should be named in the next few weeks, she said. Two years ago, UM researchers confirmed high levels of toxin from algae in sharks, concluding the ocean's big, long-living predators accumulate the toxin in their brains over time, and warned against eating shark. The connection between the toxin and brain disease is still relatively new and not without controversy. Scientists first discovered the link after a botanist visiting Guam to research cancer took another look at a decades-old mystery surrounding a degenerative brain disease, Discover Magazine reported in 2011. The disease hit nearly every household in a small village, leading researchers to focus on the seed from cycads, a plant often confused with palms and a staple of villagers' diet. The seeds contain BMAA, but researchers concluded villagers could never consume enough to make them sick. The botanist, Paul Cox, found the connection when he discovered the villagers also ate fruit bats, which feasted on the seeds and had a much higher concentration of BMAA because it accumulated in their bodies over time, according to a 2012 Environmental Health Perspectives account. A decade later, UM's Miami Brain Bank repeated Cox's brain study found BMAA in the brains of people suffering from the degenerative diseases. She also showed the toxic can enter the brains of rats, EHP reported. "BMAA is more of a long-term toxin," Davis said. "It integrates and causes proteins for misfold and that's when you get chronic inflammation and that leads to degenerations." Since then, more studies have looked at higher incidences of Lou Gehrig's disease in people who live near lakes with frequent blooms, Wednesday's study noted. 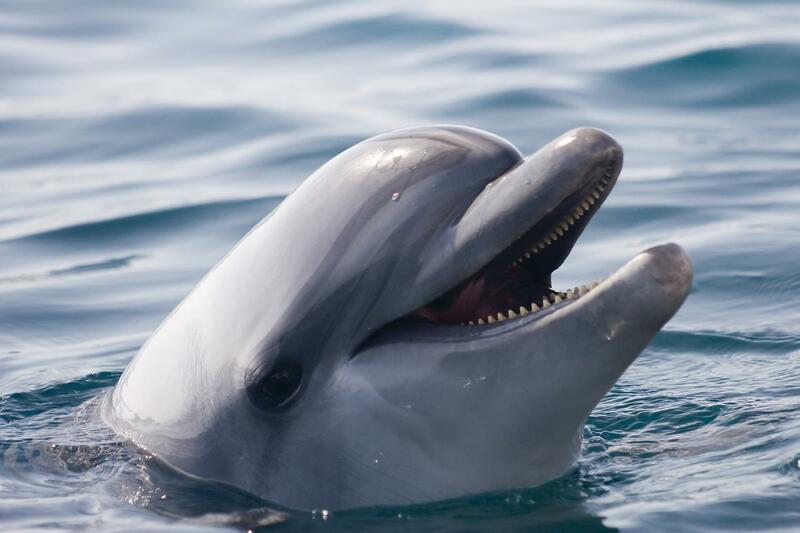 For this study, researchers looked at brains from 14 dead dolphins, including seven Florida bottlenose dolphins that beached themselves in 2005 along the Atlantic, the Indian River Lagoon, the Banana River and Gulf of Mexico where algae blooms frequently occur. They also looked at seven common dolphins that were found dead in Cape Cod Bay off Massachusetts in 2012. All but one dolphin, which died from a boat strike, had BMAA in their brains as well as signs of degenerative disease. Notably, the Florida dolphins had three times the amount of toxins. That's likely because they swim closer to shore and into estuaries where blooms occur, Davis said, and eat smaller marine life, like shrimp, crabs and prey fish, that consume the algae. 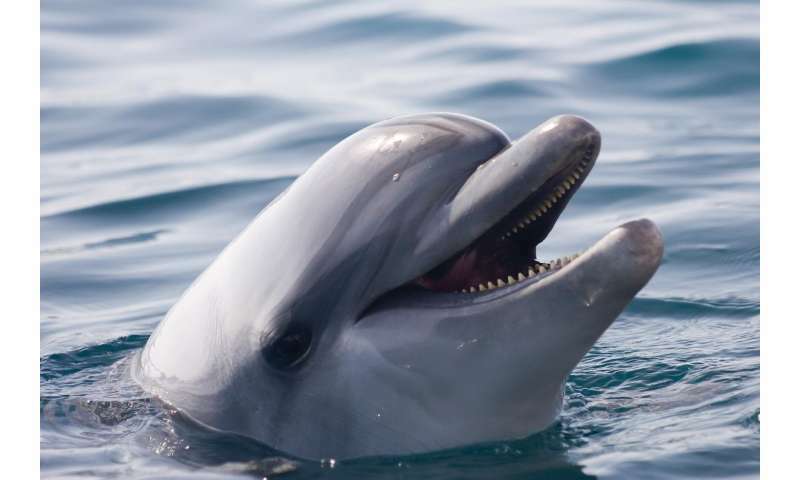 Making the connection in dolphins is significant because it provides a window into a more complex brain than a shark's, he said, and one with higher functions like a human's. Researchers also focused on the part of the dolphin brain used for acoustic navigation because they believed problems would be more apparent. "It's one of those regions where if you want to find something wrong with a dolphin, you would look there," Davis said. "We thought it would be highly sensitive and vulnerable to a toxin." Looking at dolphins in the wild also gives scientists a more realistic model of how the toxin accumulates and may cause damage, he said. "This isn't animals being fed a certain dose over a certain amount of time. It's naturalistic exposure," he said. "If you have these ... dolphins feeding in the same marine food web as humans, potentially eating the same things as humans, that's why we say it serves as a sentinel." Because this study involved such a small number of dolphins, the team was not able to definitively link a cause and effect. For that, the researchers have begun a second study using dolphins that died during last year's prolonged algae blooms. Nearly 150 were found in Gulf waters, which prompted the National Oceanic and Atmospheric Administration to launch an investigation. So far nothing suggests the toxin poisoning caused the beachings, which can be a complex event. But Davis said the larger sample will allow researchers to look at more brains. They also plan to examine more parts of the dolphins' brains. Davis said they expect to complete the next study in a year. In the meantime, he said the team hopes to draw attention to the health risk posed by algae blooms, especially in Florida. "The BMAA topic is a relatively new one and a lot of people don't know about it," he said. "We're trying to find out what the long-term effects are. We hypothesize at least neurological degeneration and we have pretty good models that suggest that. But we just want to let people know of this toxin."